If you're a cat owner or looking to become one, take note of these things that you probably didn't realize are poisonous to cats. Aloe vera and lilies are common houseplants that can make cats very sick. While cats are generally picky eaters and will typically steer clear of these on their own, garlic, onions, chocolate, and caffeinated foods are particularly harmful if ingested. If a cat eats unbaked dough, it may expand and ferment in their stomach. Deciding to get a cat is a big deal and there are some things you should know before opening up your home to your new pet. Unless the shelter you're adopting from is remarkably helpful, you could bring home a new cat - or even have one for years - without ever knowing that a number of common household items are unexpectedly poisonous to cats. While it's fairly common sense to keep cats away from human medicines, household cleaners, insecticides, and other chemicals, some cat toxins are less obvious. If you're a cat parent or looking to become one, take note of these things that you probably didn't realize are poisonous to cats. Having fresh aloe at home can be helpful for a number of DIY remedies to human ailments, like a sunburn. But it's not so good for cats. This common apartment plant is toxic to your kitties, so if you must have one in the house, make sure it's somewhere your cats absolutely cannot access. Some cats have the tendency to gnaw on plants (or straight up attack them), so keep kitty away in order to avoid vomiting, diarrhea, and other unpleasant symptoms. 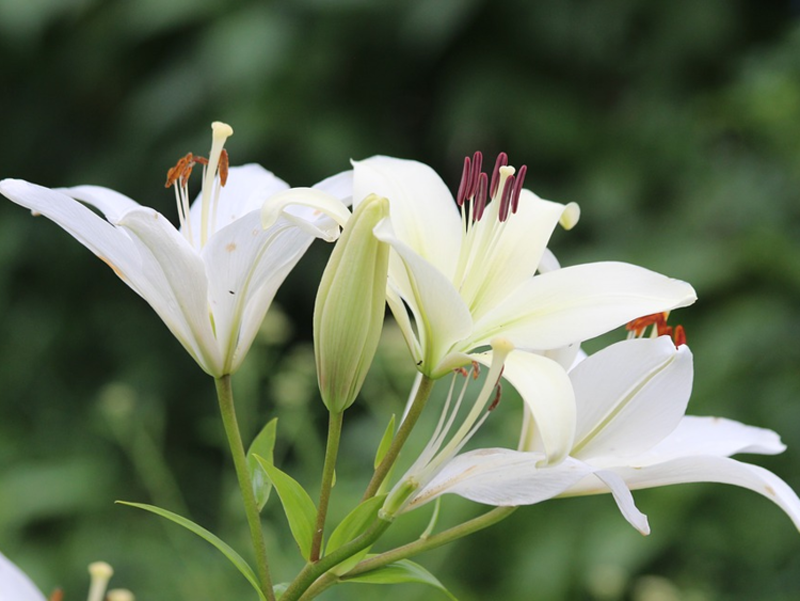 While many plants can be slightly irritating to pets, even trace amounts of lilies can be potentially lethal to cats. If your cat ingests even a petal or two - or possibly even some pollen or water from the vase - acute kidney failure can result. If someone gifts you a bouquet that includes lilies, you'd be best advised to display them somewhere other than home. It's worth noting that while lilies are especially toxic to cats, there are several plants that can cause varying degrees of illness to feline friends. It's best to do your research before planting anything somewhere your cat can access it. Admittedly, most cats aren't going to start chomping on alliums like garlic and onions like a bag of treats. But if you use liberal amounts of these to season something meaty or fishy, keep an eye on kitty in the kitchen. Small amounts may be safe, but if you catch your cat eating something oniony or garlicky, keep an eye out for lethargy, vomiting, weakness, and other unusual behaviors. Digestive issues or even anemia may result. It's well-known that chocolate is toxic to dogs, but fewer people realize that it's hazardous to cats as well, carrying the risk of seizures, tremors, and death if consumed in large enough amounts and left untreated. The reason chocolate poisoning is far more recognized as a risk for dogs, however, is that few cats are interested in eating chocolate at all, let alone enough to cause illness. Still, if your cat has a curious palate, better safe than sorry - don't leave chocolate out. 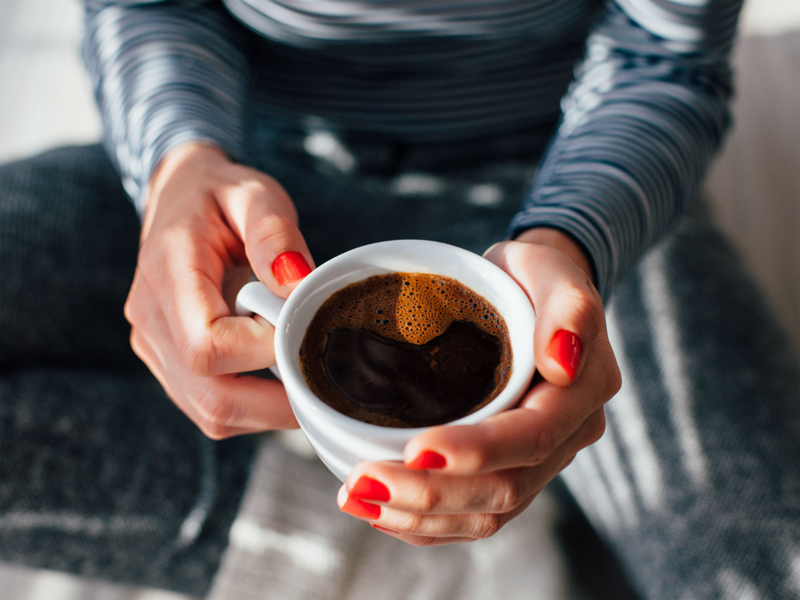 If you don't have any extra money to spend on fancy pants syrups or find the thought of at-home milk frothing a bit daunting, Krochmalny said flavored creamer works just as well in drip coffee - although "the stronger the coffee used, the better." Anything caffeinated is best kept away from furbabies. The stimulant effect can cause heart arrhythmia, seizures, tremors, and even death. Like many of the items on this list, the average cat is too much of a picky eater to, say, become a coffee fiend. But should something caffeinated be made appetizing to your feline friend, it just might pique your cat's interest. There are several different chemical reactions involved in the baking of bread, and unfortunately, they can be harmful ones if they take place inside your cat's stomach. If your cat for some reason eats unbaked bread dough, it can expand inside their stomach, and the fermentation process causes the production of alcohol which can cause alcohol poisoning. A cat who has eaten unbaked dough may even need emergency surgery. Though grapes and raisins can be beneficial to a human's health, they can be potentially dangerous for your feline friend. If your cat gets ahold of these foods, they might be vomiting within 12 hours. After 24 hours, they could exhibit symptoms such as weakness, abdominal pain, and even death. If you have a cat that has kidney disease, be especially careful not to give them the sweet fruit.